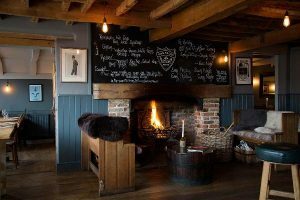 Muddy says: Owned by Mark Sargeant, ex right hand man to Gordon Ramsay, this cosy pub has everything from a perfectly picturesque beer garden to top notch food. 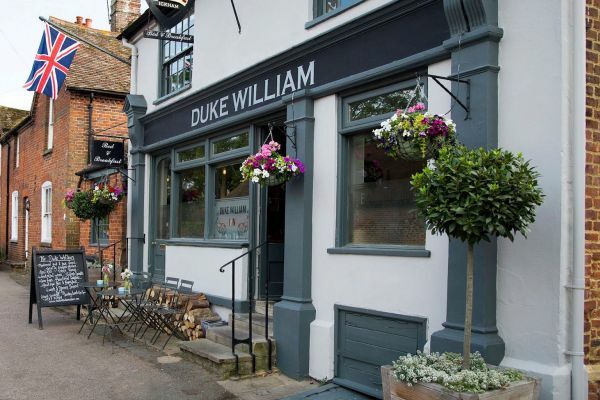 Relax in front of the fire, perch at the bar or tuck yourself away in a cosy corner and enjoy the superb food, drink and atmosphere in this quintessential Kentish Pub located in the heart of the Garden of England. 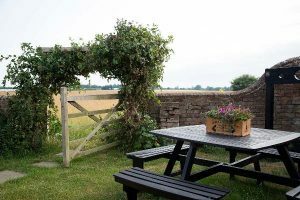 Salivate at the food and drinks menu, built around the best local produce and suppliers the surrounding countryside and coastline has to offer. 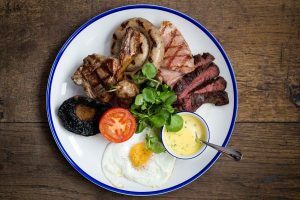 Seasonality is key, which is why the menus are constantly evolving throughout the year, from beautifully fresh fish and ripe fruit & veg in Summer to slow cooked meats and piping hot pies and hot pots in the Winter. And what about the drink? (I hear you ask). Well it’s all quality of course – there’s three constantly changing real ales, a selection of bottled and draft craft beers, plus refreshing local and continental lagers – beer lovers rejoice! If it’s wine you’re after (oh yes) then there’s a pretty diverse and eclectic wine list, focusing on tried and tested Old World beauties to interesting and rewarding New World delights. This place is perfect for roast, roaring fires and board games in the winter. And, in the summer months, soak up the sunshine in the south facing terrace and garden area, that backs onto the rolling Kent Countryside, complete with its own outside bar and brilliantly convenient children’s play area. And we haven’t even yet mentioned the four beautifully furnished guest rooms, each named after one of business owner Mark Sargeant’s culinary heroes and made to feel like a real home from home, complete with DAB radios, Flat Screen TVs and spacious King Size beds! Oh and you’re just moments from Howletts Wild Animal Park and Wingham Wildlife Park too if you’re visiting the area with the family.